Looking for innovative ways to gain attention and publicity among prospective customers? Then living mannequins might be something to take a closer look at. 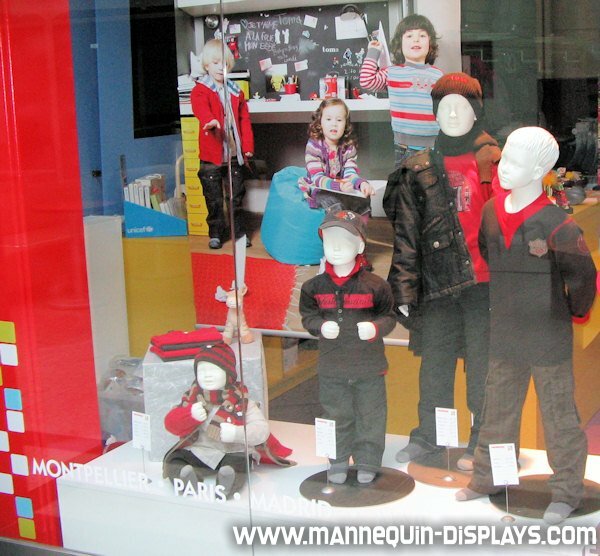 Living mannequins are human, male or female models that present apparel or other goods while trying to temporarily create the impression that they are artifical retail mannequins or doing some kind of performance in a shopping window. 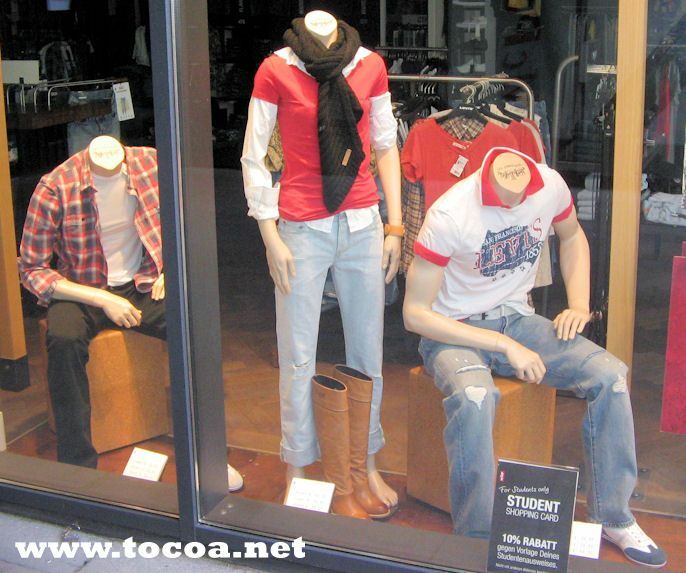 In well frequented prime retail locations able living mannequins usually create a knot of people. Although it doesn’t come cheap and usually won’t instantly result in increased sales, it is certainly able to create lots of publicity for the respective store, helping brand recognition and usually increasing turnover over time. More examples may be found below. For retailers, an important aspect of winning customers is to guide them into the retail store after arousing his attention. Having an attractive entrance area can only be of advantage in this regards. 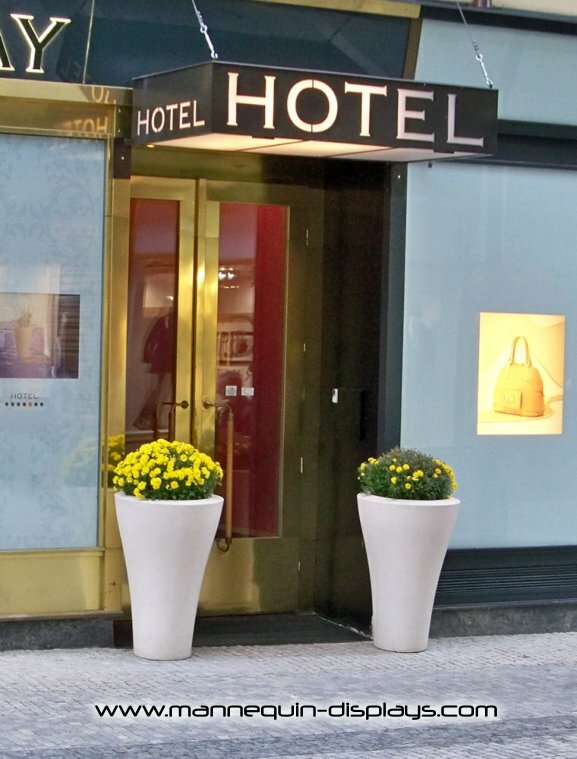 One option to assist in creating said attractive entrance area and guiding customers into your store may be the usage of well designed planter pots on both sides of the entrance door. Kids and baby clothing is a significant sub-segment of the apparel retail industry. On the one hand there is a high level of demand, while on the other hand many traders have to compete with powerful competitors. But which strategy should one choose to make the own business stand out in this fierce competition? One important approach might be to try to improve the own shopping window design, making it unique and more efficient. Especially for boutiques dealing with kids fashion one needs to pay attention to some characteristics when planning to re-design your shopping window. Always keep in mind: The more appealing a shopping window appears to potential customers, the higher is their disposition to buy.